The 2nd World Open Educational Resources (OER) Congress is scheduled to be held in Ljubljana on 18–20 September 2017, hosted by the Government of Slovenia.  This will mark five years since the World OER Congress was held in Paris in 2012. In the year leading up to the 2nd World OER Congress, COL, in partnership with UNESCO and the Government of Slovenia and with the generous support of The William and Flora Hewlett Foundation, will conduct follow-up surveys of world governments and key stakeholders and hold regional consultations. The consultations will follow the theme “OER for Inclusive and Equitable Quality Education: From Commitment to Action”, reflecting a strong focus on the role of OER in achieving Sustainable Development Goal 4. They will aim to explore strategies and solutions to the challenge of mainstreaming OER. COL is holding six Regional Consultations in the lead up to the 2nd World OER Congress, which is scheduled to be held in Ljubljana, Slovenia, from 18 to 20 September 2017. The Regional Consultations are being organised in partnership with UNESCO and the Government of Slovenia, and with the generous support of The William and Flora Hewlett Foundation. Each Regional Consultation will be further organized in partnership with a ministry or other agency, as appropriate, in the respective host country. The MENA regional consultation will be hosted in Doha, Qatar in partnership with Reach Out To Asia (ROTA). OER provide a unique opportunity to improve learning outcomes, reduce costs and enhance the quality of teaching by facilitating effective sharing. The effective use of OER in education systems at both national and institutional levels will ensure that the opportunities presented by the still mostly grassroots OER movement will be effectively harnessed to operate at the core of global educational systems. 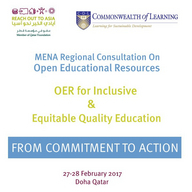 The Regional Consultations of the 2nd World OER Congress will aim to explore strategies and solutions to the challenges of mainstreaming OER. With this view of sharing strategies, the truly transformative potential of OER can be harnessed for achieving “inclusive and equitable quality education and lifelong learning for all”.